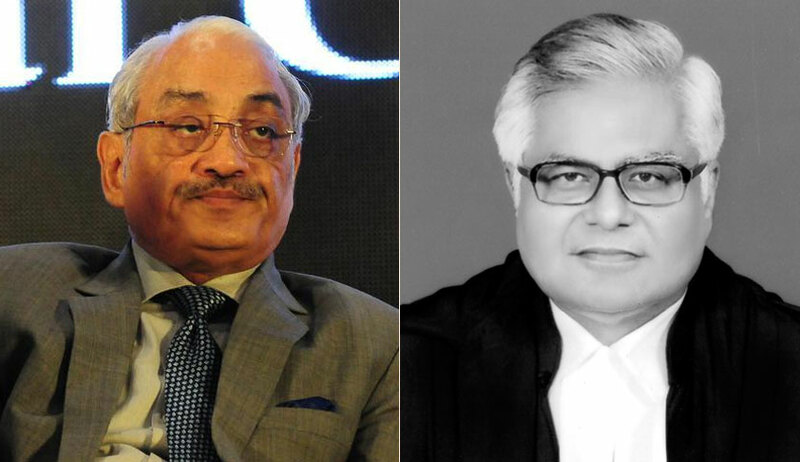 National Green Tribunal (NGT) Chairperson Justice Swatanter Kumar retired from the post on Tuesday. Justice Umesh Dattatraya Salvi will now act as the NGT Chairman. The most recent one was the order directing that a devotee shall maintain silence while standing in front of the Amarnath Ji Maha Shivling, which is a natural formation in the cave. The order was issued to ensure that there is no adverse impact of noise, heat, vibrations etc. upon the Amarnath Ji Maha Shivling, so that the pilgrims coming in the later part of the pilgrimage are also able to have darshan of the ‘Shivling’. The restriction is, however, not applicable during daily aartis. An NGT Bench led by Justice Kumar had, earlier this month, held spiritual leader Sri Sri Ravi Shankar's Art of Living International Center responsible for causing damage and environmental degradation of the flood plain of river Yamuna near the DND Flyway by holding the World Culture Festival Celebration in March, 2016. The Rs. 5 crore deposited by the Art of Living will now be used for restoration to be carried out by the DDA. In case the cost of restoration exceeds Rs. 5 crore, the excess amount will also have to be coughed up by Sri Sri's organization. The Tribunal had, in July this year, imposed a complete ban on manufacture, distribution, sale and use of nylon or any synthetic manjha or thread, holding that the same is lethal in nature and non-biodegradable. The Tribunal had also directed the Centre and States to ensure that no such banned material is imported in any part of the country. Another important order issued in July was one in which the Tribunal laid out the "way ahead" and shared "a new perspective" for cleaning and rejuvenating Ganga river in the next two years with a string of directions, including announcement of Rs. 50,000 environmental compensation for every act of throwing any kind of waste in the river or its tributaries. Remarking on how the “Ganga Jal, which had the capacity even to purify added water from other sources, has become water full of faecal material, metals and other pollutants”, Justice Kumar had then spelt out exhaustive measures to check all industrial and sewerage pollution in 2,525 km-long Ganga river which flows through five states in India. The NGT had, in May, 2015, ordered that only 600 petrol and 400 diesel (total 1,000) vehicles will be permitted to drive up to Rohtang Pass in Himachal Pradesh every day. It had also ordered that the all vehicles allowed in the region would have to pay an environmental compensation at the rate of Rs. 1000 for petrol vehicle and Rs. 2500 for diesel vehicle. In April the same year, a five Judge Bench banned all diesel vehicles over 10 years old from plying on Delhi roads. It had further directed that all the vehicles entering Delhi will be checked for pollution, weight and age. The Tribunal had also directed the authorities in UP, Noida and Greater Noida, Haryana Urban Development Authority and state of Delhi to immediately stop construction activities in sites mentioned by the Court. It had ordered that all construction activity in violation of the 2010 Urban Township and Area Development Guidelines of the environment ministry be immediately stopped. In January, 2015, the Tribunal had issued 28 directions for implementation of the ‘Maily Se Nirmal Yamuna’ Revitalization Project, 2017', directing it to be completed by 31st March, 2017. It had prescribed a spot fine of Rs. 5,000 on anyone spotted throwing waste in Yamuna, as is generally seen in Delhi where people dispose worship material waste into the river from bridges across it. It had also levied a fine of Rs. 50,000 on dumping of construction debris in the river.